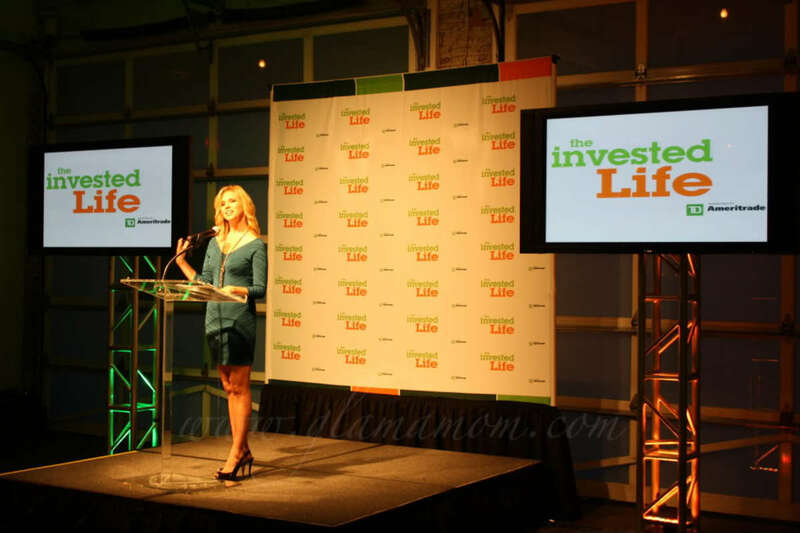 Suzanne Sena, Host of "The Invested Life"
Last Thursday, I attended TD Ameritrade&apos;s launch of The Invested Life, an MSNMoney, online reality series featuring ordinary people from across the U.S. facing some of today&apos;s most common money concerns, paired with independent financial advisors to help them take control of their finances. No, Glamamom doesn&apos;t sit around reading US Weekly all day. I&apos;m a financial literacy advocate and believe that as women wield greater financial power, the more essential it is that we educate ourselves about how to manage money. It is estimated that 50 percent of women between the ages of 24 and 35 have less than $500 in savings. Almost 1 in 4 women are broke within two months of a husband passing away. 53% of women are not covered by a pension compared to only 22% of men. More than half of senior citizens living in poverty are women. While not exclusively aimed at women, The Invested Life series is a unique online experience that encourages its viewers to "match" their personal investment style to the cast member they relate to most, and learn from their experiences. It also maximizes social media by providing Twitter feeds, Facebook pages, and blog postings that allow viewers to follow the progress of the investors as they work to overcome their financial challenges. At the launch, I participated in a media "speed dating" session to meet the cast/investors and their independent financial experts. Two stories struck a nerve for me: Kathleen Lansing, a small business owner trying to figure out how to reach her retirement goals while maximizing the potential of her business; and Jennifer Sherwood, a recently widowed New Yorker left with a sizable portfolio and little investment knowledge. I look forward to following both their stories in the four to five minute episodes each week. We could all be characters on The Invested Life. What are your financial goals? When was the last time you spoke openly about them? Do you feel you&apos;re doing everything you can to achieve them? As financial strategist Matthew Sapaula advises, It&apos;s your money, it&apos;s your life, and no one should care about it as much as you.